Age Spots and Melarase Creams | Top Beauty Blog in the Philippines covering Makeup Reviews, Swatches, Skincare and More! Not too long ago, it wouldn’t have taken me more than fifteen minutes to wake up, brush my teeth, shower, and be ready to walk out the door with a cup of hot coffee in my hands. My morning skin regimen wasn’t too involved aside from an acne wash and some spot treatments for my soon-to-be pimples. Well, times have changed . . . I’ve grown up and so has my daily skin regimen. I don’t really have as many pimples as I used to, but what I do have are a bunch of freckles and sun spots on my face. Its not like I bask in the sun every day, but age spots creep up on you and here I am with a bunch of dark spots on my face. Skin specialists constantly remind us that age spots, sunspots, and melasma are all caused by a combination of sun exposure and genetics. Every woman has at least a couple of the risk factors for dark skin discoloration, especially when they reach their twenties and thirties. I was fortunate enough to tackle the dark spots when they first began to appear. The longer you wait, the worse the pigmentation becomes. Sunspots get bigger and more noticeable with time, sometimes to the point that they stand out even when your packing on the foundation makeup. Fortunately, there are therapeutic skin programs that can improve skin discoloration effectively. Melarase creams are specifically designed to improve the most noticeable aspects of skin aging. 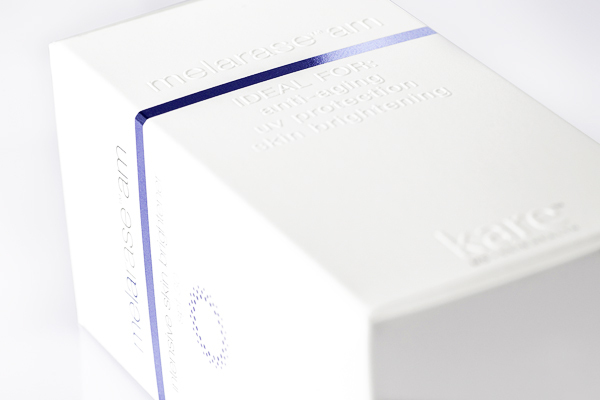 Melarase AM and Melarase PM improve sunspots and melasma with a combination of hydroquinone and non-hydroquinone skin lighteners. Melarase AM has four active sunblocks + non-hydroquinone skin lighteners; while Melarase PM contains an exfoliant + hydroquinone. When used together, Melarase creams can help lighten your skin tone and even out abnormal age spots on the face. The Melarase program is quite easy to use and includes a daily facial wash (MelaClenz), skin exfoliation with Melapads Daily Exfoliating Pads, and both Melarase AM in the morning and Melarase PM in the evening. Twice daily application allows for a gradual lightening of dark spots and improvement in skin tone. I’m so glad I’m not the same person I was a few years ago. I’ve grown up and so has my skin regimen. With that realization, I can tackle adulthood and still look like I did a few years back. This story is sponsored by Kare MD Skin Health (www.kareskin.com). Thank you for supporting posts that keep Beauty Editer running! I have never heard of Melarase creams. Thank you for introducing me to another alternative skincare treatment. Thanks for sharing info on this cream. What a interesting beauty program! This was very nice to know. It's so true, as we get older our beauty regimes grow larger too!